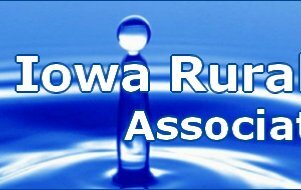 The Iowa Rural Water Association (IRWA) is getting ready to print the 2019-2020 IRWA Membership Directory. Our directory is mailed to over 800 communities, rural water systems, government agencies, and associate members around the state and nation. The directory includes key personnel contacts and information on all regional systems, community members, associate members, individual members and non-community members. This is a valuable resource that will remain on business desks all year long. What a great, inexpensive way to get your company noticed! Our Membership Directory is created for easy reading and use. You will notice three different ad size options. These sizes are the same dimensions as the Water Street Journal ads. However, we do not offer a Business Card sized ad in the directory. Our advertising rates include four-color advertising to grab the attention of our members thus increasing your visibility as a company. If you would like to “get noticed” in the 2019-2020 IRWA Membership Directory, simply complete the enclosed form and return it along with payment. Please send your electronic artwork to [email protected] no later than Wednesday, April 3rd, 2019. All advertisers will receive a complimentary copy of the directory. Please include payment and camera-ready or electronic artwork with your order. Ads must be received electronically or camera-ready. Electronic ads must be .pdf, .eps or .tiff format with high resolution. This is a color publication. The Water Street Journal is published three times a year, March, July, and November. 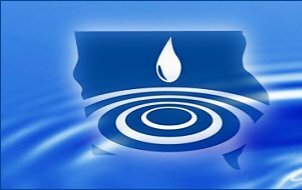 Each issue is mailed to approximately 1,600 people throughout the state of Iowa, which include water and wastewater professionals, community and rural water system decision makers, funding agencies, Iowa DNR professionals and industry professionals. 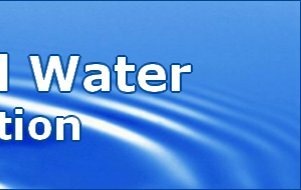 It is the widest circulated publication devoted to water and wastewater professionals in Iowa. As an advertiser, that’s 1,600 business cards placed in Iowa industry professional’s hands three times per year! The Water Street Journal is a full color magazine, thus giving it a more professional look with more reader appeal. Click Here to find our 2019 Advertising Insertion Order. If you would like to take advantage of this cost effective advertising opportunity, please complete the form and return it to our office no later than January 24, 2019. Please feel free to contact me at 641-787-0330 with any questions you might have. And thank you for partnering with IRWA to provide great resources to our water and wastewater professionals. I look forward to working with you in 2019! 4-Color Ad Rates - Rates include all three issues. SUBMISSION REQUIREMENTS: All ads must be received camera-ready or electronically – NO EXCEPTIONS. Electronic ads must be sent as a .pdf or .tiff file with HIGH RESOLUTION. Electronic ads can be sent to: [email protected].